Experiments showed that adult Antarctic Fleas Gladopsyllus antarcticus preferred dark over light conditions, dry over wet conditions, and fine substrate over coarse substrate. Examination of seabird chicks and collections of nest material indicated that the Southern Fulmar Fulmarus glacialoides, is the major host species of the Antarctic Flea, while Snow Petrels Pagodroma nivea, Cape Petrels Daption capense, Antarctic Petrels Thalassoica antarctica, and Wilson's Storm-Petrels Oceanites oceanicus are minor hosts. This is the first report of Antarctic Fleas occuring on either Antarctic Petrels or Wilson's Storm-Petrels. No fleas were found associated with Southern Giant Petrels Macronectes giganteus, Antarctic Skuas Catharacta maccormicki, or Adelie Penguins Pygoscelis adeliae. 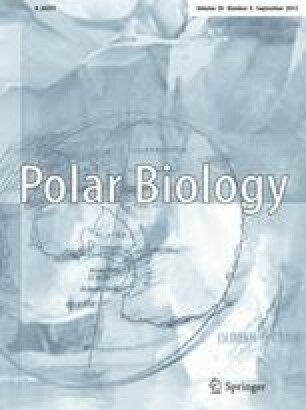 No live fleas were found in Southern Fulmar nest material during their period of dispersal over the winter months, supporting the hypothesis that Antarctic Fleas survive the winter period by remaining on their seabird host.